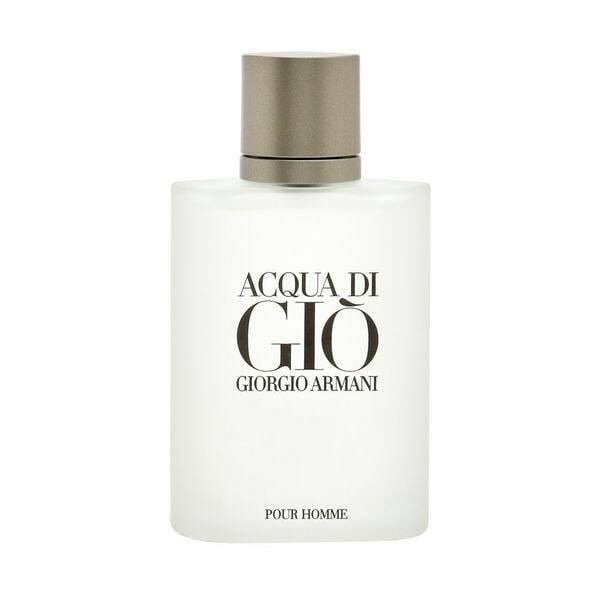 Stand out with this sophisticated Giorgio Armani Acqua Di Gio eau de toilette spray. Featuring a blend of citrus notes, rosemary spiciness, jasmine, and wood, the spray offers an intriguing and irresistible fragrance. I ordered and received the Giorgio Armani Acqua Di Gio Men's 3.4-ounce Eau de Toilette Spray (Tester). It arrived properly packaged and upon opening it I was pleasantly surprised that this spray tester looked no different than what you would purchase from a reputable department store. No bottle flaws and it included a cap. The fragrance is masculine but not brutish. It has soft undertones and a pleasant sillage. Giorgio Armani Acqua Di Gio Men's 3.4-ounce Eau de Toilette Spray is attractive and masculine ….this sharp meaningful fragrance is a dream-pleaser; the captivating scent demand respect. I purchase this for my husband and I love it. I am sure others will love it too. I highly recommend this fragrance. Your company made sure that the item was packed and delivered with special care. Thanks and we will be doing more business will you. This Giorgio Armani Acqua Di Gio Men's 3.4-ounce Eau de Toilette Spray has been missing from my shelf for several months, and I am really glad to have a new replacement bottle. I like the way this product smells, although I do wish the fragrance would last a bit longer. Overstock seems to have a very fair price, however, and I can always be assured of finding more in a hurry. This is the best price for Giorgio Armani Acqua Di Gio!! I have to admit, this is a top popular scent which is both a classic, recognizable but hold its own in aquatic scents. It does stand out over most other aquatic scents and it took me a little while before I fully appreciated it because it is very strong for my nose. Now that I have been using it for a while and reduced the number of sprays, I have really started to like this fragrance and it is an awesome, fresh, long lasting aquatic summer scent and I also use it in the office so now and then. The feedback on this fragrance is positive and it is generally liked. Recently I also purchased a small bottle of Acqua Di Gio Profumo which lasts even longer and provides you with a slightly more upscale scent. This scent reminds me of summer and the Mediterranean. A winner. Acqua Di Gio from Giorgio Armani, it has been a signature fragrance for some time,never disappointed of this cologne a must have!!! Purchased as a gift for my husband, Giorgio Armani Acqua Di Gio is incredible! This is my favorite men’s cologne! It’s YUMMY! Shipped quickly! This fragrance leaves me feeling fresh even at the end of the day, and the intense aroma of citrus and spices continue to keep me exhilarated and confident no matter what challenges the day may bring. For romantic events this fragrance is outstanding, and outshines all it’s competitors. Perfect fragrance for night or day! And the price just can’t be beat for this classic men’s cologne; this is definitely a “Best Buy”! There are several websites that show you how to spot a knock off or fake bottle of Acqua Di Gio. The bottle I received just didn't smell very strong basically like rubbing alcohol and the scent didn't last very long. After looking at these sites my bottle is without a doubt a fake, my bottle failed almost every test they have. Also the writing on the box was in Arabic. I don't recommend overstock as a place to buy cologne. The picture on the website is even wrong, The letters are supposed to be silver not dark like that and the legit bottle I ordered from Armani has no writing on the back at all which you can see through the reflection in the image. It stinks! There is no other way to say it. I used to wear Acqua Di Gio back in the early 2000’s and this smells NOTHING like it used to. Unless this is an impostor....or Giorgio Armani changed the ingredients? This smells like bug spray! Save your money! Do NOT BUY THIS! My experience with Overstock was great. 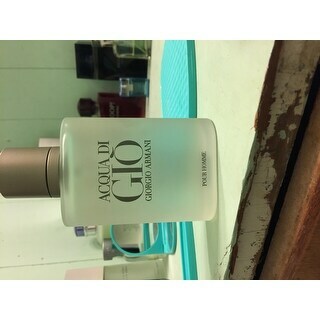 5 Stars to Overstock.com — but ZERO STARS to Giorgio Armani Acqua Di Gio!!! Buyer Beware- it STINKS! This is my husbands absolute favorite cologne in the history of cologne! We love shopping at Overstock so I'm so glad they carry it. This was a larger bottle than I normally get so I was pleasantly surprised at the price. I know this is a popular cologne among men but I just love it when my husband wears it, it smells great! Very nice cologne... was disappointed it didn't come in a box. Great price for the size of bottle. Better than any where else I looked. Love this stuff and so do the ladies!! Gotta say I was totally skeptical about buying this product. Looked at it for like a week. Was worried that it might be a knock off. Was worried about the fine print saying it would come no less than 75% full. But I pulled the trigger and couldnt be happier! Its the real deal and my bottle was full. Not saying yours will be but mine was so it was an awesome deal! Love this colonge! Light and refreshing cologne for the summer - easy to smell nice without being overbearing. A classic. I purchased Aqua Di Gio by Armani and was elated at the price and speed that they fulfilled the order. I love the smell that the cologne has. It is very strong but has a good and fresh smell that lasts for the the whole day. The cologne is woody according to the makers but I think it is a very clean scent. I love any of the Armani fragrances just wish they were less expensive but oh well. I bought this as a gift for my father. I shopped around and Overstock had the best deal...and it smells wonderful! "I see it says tester does that mean its not brand new? and does it say tester on the product?" The only difference between tester and non-tester is that the tester does not have an original box and sometimes does not have a cap. Everything else are the same. "why does this say 'tester'?" This item was originally packaged to be used as a tester but it is new has not been used. My son loves this fragrance . Great deal through overstock!!! I love the fragrance. This is one of my favorite colonges. Thank you for contacting us, deburt. Yes, we can confirm that this is authentic. Please let us know if you have any further questions. Does it come in a box? What does it mean Tester? "what does a tester mean?" Hello avsmith86, There is no difference in quality between tester and regular products. Tester products are originally manufactured for promotional purposes. In some cases the packaging might be different, but the usage is just the same. Hope this information was helpful. Thank you for shopping with us! It says tester on the bottle. Same product but would not give as a gift.